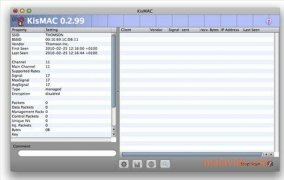 On many occasions it is necessary to search for wireless networks, so if you notice that the client integrated in Mac doesn't find any networks to connect to, it is possible that KisMAC will be able to help you. 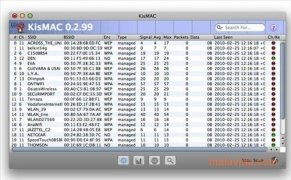 This software analyzes the wireless spectrum to find Wi-Fi networks, find out if they are protected and, if so, with which method. 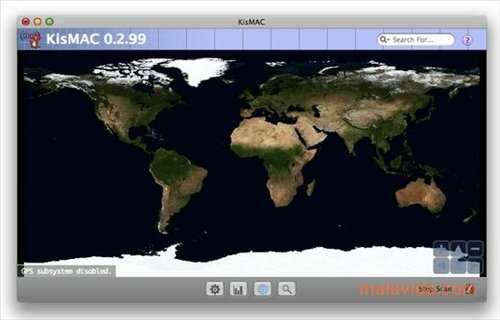 Moreover, it also allows you to share the wireless networks that it finds with other KisMAC users. The interface of this service is visually very attractive because it uses a world map to show the information, and it is even possible to download a plug-in to see it on Google Earth. 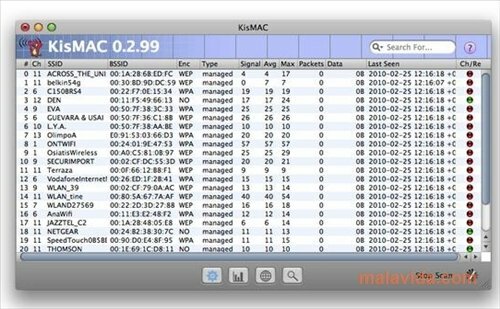 Once we find the Wi-Fi connections and know their security level, KisMAC also allows us to perform a detailed analysis of each one and even audit their security. 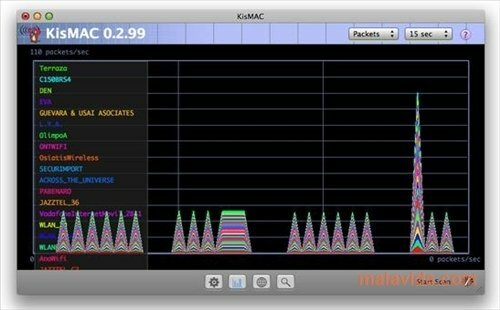 KisMAC makes the most of the power of the AirPort and AirPort Extreme cards, but it's also compatible with others like PCMCIA Orinoco, PrismII, Cisco Aironet, Atheros and PrismGT, or USB devices with Intersil Prism2, Ralink rt2570 or rt73 chips, that are also commonly found on the market. 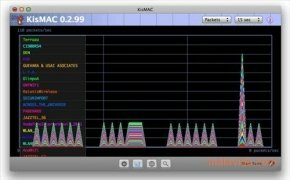 So now you know, if you're looking for a wireless network and the Wi-Fi manager in Mac OS X isn't powerful enough, you may be able to find the solution to your problem with KisMAC. This download requires Mac OS X 10.6 or above.